After the smoke, then the official denial (by China Mobile's CEO), we finally see a China Mobile "multi-year" deal. Given the already known history of difficult negotiations, the difficulty of current negotiations seem confirmed with the press release stating "Apple has enormous respect for China Mobile..."
Despite the difficulties with China's largest carrier, the iPhone has been gaining share in China's smartphone market with the release of the 5s and 5c. China Mobile needed this deal too. Assuming Apple can maintain a 10% share, via the 3G customers, thats 18million new iphones. But as anyone can see, the adoption rate to 3G has been about 100m in one year. That's really awesome growth. The transition to 3G should continue at a rapid pace. Some on the street (Brian White) are expecting 600m 3G subs by the end of 2014. Not sure how realistic that is, but dependent on how fast the sub conversion takes place, we can assume how many iphones get sold. Apple has added the last few major carrier hold outs, via NTT DOCOMO and China Mobile. 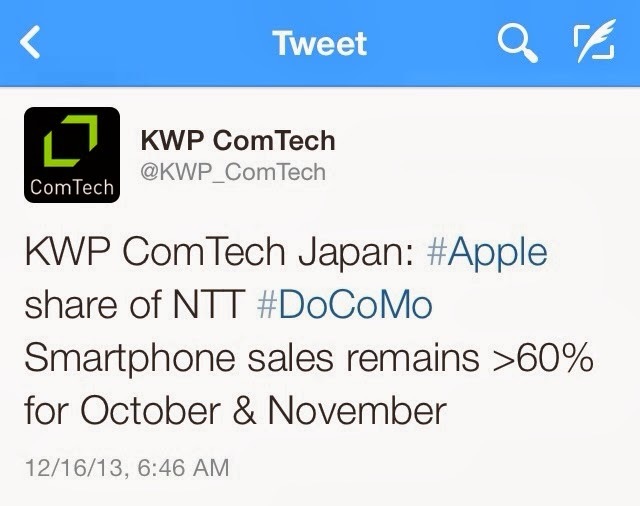 In Japan, the iPhone already has major smartphone share, north of 60% (in Sept and Oct). These two additions suggest faster iphone adoption. Greater iphone adoption means higher earnings. Keep in mind, even without this deal, Apple purchased over 40million shares and has set-up the stock to see earnings growth for 2014. 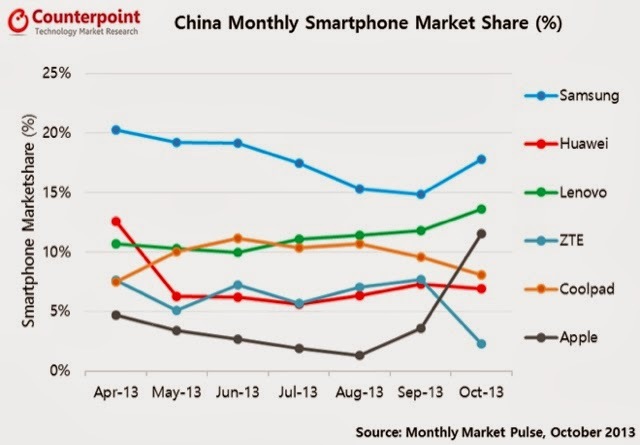 The China Mobile deal is icing on the cake. Depending on the sweetness of the icing will guide the level of multiple expansion to the stock.